Looking for car dealerships in Union Grove, WI with a large selection of new and used cars for sale? Wanting to find a Ford dealership near you with everything from new Ford trucks and used cars for sale? If so then you need to come to your local Ford dealership Ewald’s Venus Ford and see one of the many new and used cars for sale near Union Grove, WI. Here at Ewald’s Venus Ford, we want to be your one-stop shop for all of your vehicle needs. Which is why we have an on-site Ford finance and service center near Union Grove, WI. When you are looking for a Ford dealership near you, come to Ewald’s Venus Ford near Union Grove, WI. Directions to Ewald's Venus Ford from Union Grove, WI. Ewald's Venus Ford is ready to show Union Grove, WI our large selection of new Ford for sale. Here at Ewald’s Venus Ford, we have everything from new Ford trucks to Ford cars and everything in between. IF you are looking for a wide variety of Ford cars for sale come and see everything from a Ford Mustang for sale, to a Ford Fusion and everything in between near Union Grove, Wisconsin. Looking for a new Ford that has plenty of cargo space, but is also fuel efficient? Come and see the new Ford Edge for sale. This Ford SUV for sale has ample cargo space and easy to fold down seats, that allow you to fit almost anything and everything into the back of this new Ford SUV. Wanting to find your next Ford truck here in Union, WI? Ewald’s Venus Ford has everything from diesel trucks for sale, to pickup trucks for sale and everything in between. That includes a lineup of the new Ford Raptor for sale. This new Ford truck for sale is sure to turn heads as you drive through the streets of Union Grove, WI. When it comes to finding new Ford cars trucks and SUVs for sale, you will not want to miss the selection at Ewald’s Venus Ford near Union Grove, Wisconsin. If you are in the Union Grove, WI area, you should check out Ewald's Venus Ford. 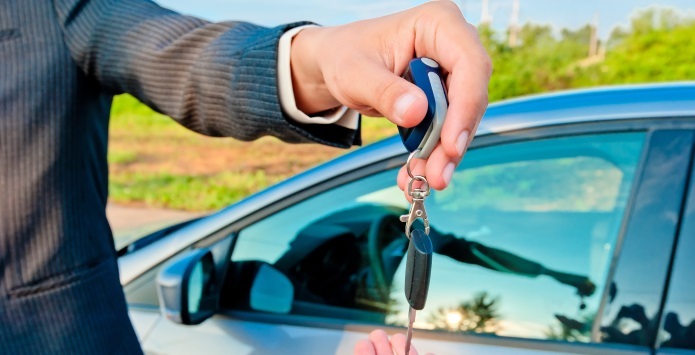 We have a large selection of used cars for sale, which makes it easy to find one that fits your lifestyle. Here at Ewald’s Venus Ford, we take pride in offering a diverse inventory of top running cars for sale. Looking for used Ford cars for sale come and see the used Ford Taurus for sale near Union Grove, WI. This Ford for sale comes with many features both inside and out that you will not want to miss. Wanting something bigger than a used Ford car, we also offer a wide range of used Ford SUVs for sale whether you want third-row seating or ample cargo space you can find a used Ford SUV that is right for you. If you are looking for used Ford trucks for sale you will not want to miss out on the line-up we have to offer here at Ewald’s Venus Ford. That includes many used Ford commercial trucks as well. We even have a variety of used cars for sale for under $10,000 that make great first time cars. When you are looking for a used Ford for sale check out the selection here at Ewald’s Venus Ford near Union Grove, WI. When it comes time to decide between buying and leasing your next vehicle, let Ewald's Venus Ford help you figure out what is best for you and your budget. The team at our onsite Ford credit center are happy to answer any and all questions you may have about the financing process. Here at the Ford motor credit center, we will work with you to help you figure out a financing plan that will work for you and your budget. If you are not ready to fully commit to financing a new or used car, we can even show you one of the many Ford lease deals that we have to offer here in Union Grove, WI. When you lease a Ford, you can drive away in a new car for a fraction of the cost. Not only that but if you do not love your new car truck or SUV, you can trade it in when your lease is up. Here at the Ford finance center we even have a variety of online resources to help make your car buying experience even easier. Get pre-approved, learn the value of your trade in and more all from the comfort of your Union Grove home. When you are ready to start the financing process, let the team at the Ford credit center make it easy here at Ewald’s Venus Ford near Union Grove, WI. No matter how old or new your vehicle may be at some point in time, it will need basic maintenance done on it. Which is why here at Ewald’s the Ford dealership near you we have an on-site Ford service center near Union Grove, WI. Here at your local Ford service department, we can take care of everything from an oil change, to tire rotation and so much more. We also have a team of technicians that are Ford trained and certified, so they know your vehicle inside and out. Here at the Ford service center we only use factory certified Ford parts, so that they work perfectly with your car. When you want your car truck or SUV to run its best why use anything other than the Ford OEM parts that were made for it. If you do it yourself type of person, we are happy to order your Ford parts online as well. Here at the Ford service center we also offer a selection of Ford service coupons from brake pad replacements, to fluid flushes and so much more. If you do not see the service coupon, you are looking for check back often because we are always changing them. When you are looking for Ford service that can get you back on the road in no time, head to Ewald’s Venus Ford near Union Grove, WI. For more details on our new cars for sale or used cars for sale and the services we provide to drivers in and around the Union Grove, WI area, please feel free to contact us through our website or call us at (414) 236-7442.